Dionne Bell was born and raised in Northeast Ohio, the oldest of four children. After graduating with a degree in Sociology, she worked in the fields of chemical dependency, child welfare, and insurance claims. Dionne is a lover of music, reading, and writing – all of which she was exposed to and enjoyed since her early childhood. She is passionate about spending time with loved ones, motivating and encouraging others, and injecting humor into as many aspects of life as possible. Her love for inspiring others, coupled with the desire to deliver information in an entertaining way led Dionne to create and co-host the I’m Just Saying Show, a You Tube talk show. Dionne has a particular fondness for profound, positive, and enlightening quotes and mottos. A firm believer that one’s attitude and thinking determine their altitude, Dionne has fashioned her own motto: “Every day take at least one hearty ‘L’; learn, laugh, and love.” Dionne’s Live GOLDEN brand is based upon tenants which she holds valuable and uses as the operating manual for her life: grateful, optimistic, loving, driven, encouraging (of self and others), no matter what. Ever intrigued by words, it was only natural, actually destined for Dionne to find herself most fulfilled when reading, writing, and inspiring others. Though her natural tendency is to shy away from public speaking, Dionne has been known to thrive in front of an audience. This was first demonstrated during her college years when she played the role of Beneatha in the school’s production of A Raisin in the Sun. Later, Dionne was selected by her peers and professors to address the graduating class and guests at her college Baccalaureate. Then as now, Dionne considers herself honored and privileged to be used as a vessel to pour messages of hope and encouragement into the lives of others, especially women. GOLDEN CHOICES, Dionne’s debut novel, was born out of the desire to offer lessons about life’s choices in an entertaining and relatable manner. The message of accountability for one’s actions and choices was the goal of the book. The objective was to deliver the message through characters with whom every reader could identify. GOLDEN LIVES is the second book of the GOLDEN SERIES, and was published in 2018. Dionne is currently writing the third and final installment, FINALLY GOLDEN. Dionne frequently shares one of her favorite Mark Twain quotes with people: “the two most important days of a person’s life are the one on which they were born, and the one they discover why.” Dionne believes she found true freedom when she realized the purpose of her life, which happens to perfectly match her uniquely giftedness and talent. 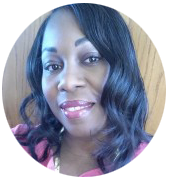 Now that she has made her invaluable discovery of what she was created to do, Dionne has made it her life’s mission to bring messages of hope, personal accountability, encouragement, love and forgiveness, all flavored with an ingredient of humor, through written and spoken word. Dionne has a ferocious appetite for books and music of all genres. Some of her favorite authors include Mark Twain, Maya Angelou, Mitch Albom, ReShonda Tate-Billingsley, Stephen King, William Shakespeare, and Terri McMillan. A few favorite musical artists include Patti LaBelle, Kenny “Babyface” Edmonds, Earth Wind & Fire, Alicia Keys, Bruno Mars, The Spinners, New Edition, David Hollister, and Stevie Wonder. Dionne continues to reside in Northeast Ohio with her husband, David.